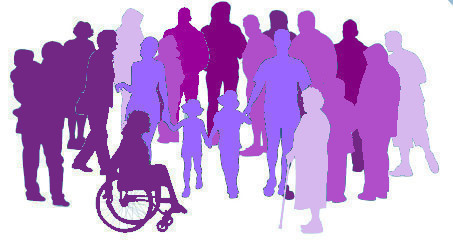 The Patient Participation Group (PPG) is group of patient volunteers who attend meetings to promote health and to help support and improve the planning, provision and delivery of local NHS services. The group aims to support the highest quality of care for all patients by representing the views of the patient.This is achieved by working in partnership with the Surgery and their staff. The group is a positive and supportive forum to represent views of the members of the group and also represent the wider patient population. "PPG members are all patients of the surgery. We come from different walks of life but we share an interest in giving something back for our excellent care by helping the practice to deliver the best possible service to all its patients. We meet at the surgery every 8 weeks on a Wednesday 4.30-6.30pm. We talk informally about issues we have encountered, we analyse patient feedback and discuss ideas and new initiatives. We also have a GP Q&A session where we can gain expert insight and get the view from the 'other side of the desk'! The triage system, the newsletter, the new fish tank and the art displays are all successful PPG initiatives. We are planning to make full use of our new building by increasing our activities - hosting events, inviting guest speakers and also fundraising, both for the 'PPG Projects Fund' (for non-essential enhancements for the surgery) and for charitable causes. We are keen to welcome new members and to engage with all patients and staff. If you can't join us, feedback is always most welcome"
Please click here to provide feedback for the PPG. What has the PPG achieved so far? The PPG started in early 2012. Since then, the group has come a long way in helping to support the surgery and improving the services we are able to provide. Producing a leaflet with information on local and national services and charities on a variety of conditions and topics. Feel free to pick up a copy next time you are in the surgery! What areas are the PPG looking to improve next? Every year the PPG picks priority areas for improvement. These areas are taken from patient and staff suggestions. How are we going about this? A 12 month appointment questionnaire finished in March 2019. The surgery and group are going to review the information collected, and see what specific improvements can be made. The PPG will also hold an Online Access workshop in Autumn 2019 to increase awareness of the service, and also to show how it works. Can I join the PPG? The group welcomes enthusiastic members who would like to contribute to and support the needs of patients whilst working collaboratively and positively with the surgery. Any patient registered with the surgery can become a member of the Patient Participation Group. All you need is a positive attitude and an interest in supporting best practice for patients and staff! What are PPG members expected to do? Members are invited to regular meetings where they can share ideas and viewpoints, and help make sure that the voice of the patient is heard. All thoughts and ideas are welcome! If members are regularly unable to attend meetings in person, they can still make a positive contribution by passing on their feedback and opinions for the surgery and the group to discuss with a view to improving services. All members, whether they are able to attend meetings, or participate 'virtually', are valued by the surgery. Once your form has been received, the PPG Staff Representative Grace will be in touch. Please note that no medical information or questions will be responded to. Many thanks for your assistance. The group is not a forum to voice formal complaints, grievances or to discuss individual treatments. Complaints should always be passed to the Practice Manager either via telephone, letter or email. The Northgate Village Surgery PPG held its first meeting on 23/03/2012, and has met regularly ever since - that's a lot of meetings! Therefore we only keep the minutes from the last 6 meetings on our website. If you would like to read the minutes from an older meeting please contact the surgery to speak to the PPG Secretary Sophia or the PPG Staff Representative Grace who will be more than happy to provide this for you. The Patient Participation Group regularly raise money for non-essential enhancements in the surgery, and to donate to local good causes. Fundraisers take place primarily at Easter and Christmas. The money raised goes into the Patient Participation Group Projects Fund. What has the PPG Projects Fund been used for so far? The Fund was used to buy a children's table and chair set for the waiting room, to make the environment more comfortable for our younger patients. The Fund was used to donate £50 to West Cheshire Foodbank - visit www.westcheshire.foodbank.org.uk for information on the help they provide for local people in need. The Fund was used to buy a new Doppler probe for use with larger limbs. A Doppler test assesses the blood supply in legs, and is performed on people who have leg ulcers and may require compression dressings or stockings. What's lined up next for the PPG Projects Fund? The PPG knit small teddy bears for our younger patients who are sick or distressed. The PPG Projects Fund is used to buy wool to knit the teddies with. If you are interested in knitting, and would like to take part, please contact Grace or Sophia on 01244 564319. Knitting kits are also available on request from the front desk. Following discussions with the PPG, an open donation box has been introduced for patients and staff to donate good quality items for the patients at St Werburgh's Medical Practice for the Homeless. The donation box is kept in the waiting room in the information alcove. If you would like to donate an item, please just bring it in with you when you next visit the Surgery and put your donation in the box. The PPG Projects Fund may be used to sporadically buy items for the donation box.